Paul Cox and Fuiono Senio worked to preserve a 30,000-acre rainforest by developing economic alternatives for villagers who saw the forest as their only source for income. Despite great biological diversity, throughout the entire South Pacific less than 0.1 percent of terrestrial habitats have any form of protection. The village of Falealupo on Savai’i Island in Western Samoa controls some of the largest tracts of lowland rainforest remaining in all of Polynesia. In 1988 the Samoan government informed the village that a new school house was needed, or teachers would no longer be available to instruct their children. Since per capita income in Falealupo is less than $100, the village leaders felt they had no choice but to sell part of their rainforest to pay for the new school. Paul Cox, an American botany professor, had been studying the forest ecology of Samoa. He first learned of Falealupo’s plight when he heard the bulldozers in the bush beyond the village. Though an academic by training and without any fundraising experience, he immediately went to the village chiefs and asked if they would put a halt to the logging if he could raise the money needed to build the school. Because Samoans have often been taken advantage of by Westerners the offer of a professor from Utah to raise the money needed was difficult to accept. Furthermore, according to Samoan custom all decisions have to be made by the unanimous agreement of village leaders. 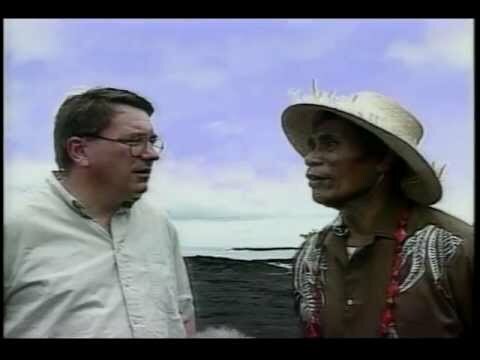 High Chief Fuiono Senio (d. 1997) was the primary advocate for preserving the forest. After a lengthy debate, Fuiono persuaded his fellow village chiefs to accept Cox’s offer. He then ran three miles with a machete in hand to stop the loggers. After six months Cox raised the required funds and the Falealupo Covenant was signed. In this agreement donors pledged to build the school in exchange for the village’s promise to continue to protect the rainforest for a 50 year period. It allows villagers to continue to use the forest for medicinal plants, kava bowls, canoe construction and other cultural purposes, but forbids any damaging activities. The school was built and the 30,000 acre Falealupo Rainforest Preserve was established. 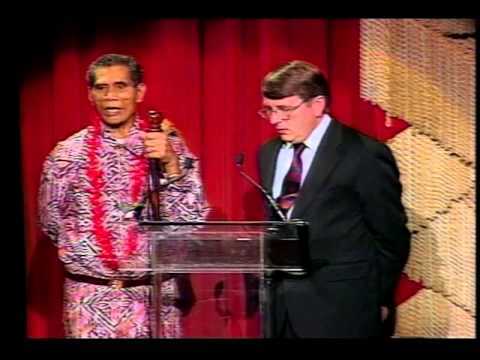 On May 17, 1997, shortly after receiving the Goldman Prize, Fuiono Senio died from complications due to cancer. Cox subsequently helped to create an additional 20,000 acre rainforest preserve in Tafua, also on the island of Savai’i. He has served as director of the National Tropical Botanical Garden in Hawai’i and Florida and also the King Carl XVI Gustaf Professor of Environmental Science at the Swedish Biodiversity Centre. Cox is now Chair of the Board of Directors at Seacology, a nonprofit based in Berkeley, California which preserve the environments and cultures of islands throughout the world. Support Seacology to protect island habitats and provide assistance to local communities.